The ESCB, consisting of the ECB and the national central banks of the Member States, has been inserted, as a new institution sui generis, among the existing Community institutions. We note there was no attempt to amend or change the existing institutions to the new EMU environment, e.g. there was no attempt to create an independent ‘gouvernement économique’ (an idea alluded to in the Werner Report), which would have taken away responsibilities assumed by the Ecofin Council and could have led to a reduced involvement of national parliaments, as Member States were reluctant to hand economic powers to the Community. The relations of the ESCB with these other institutions will develop over time, but they will always have to be based on the Protocol on the Statute of the European System of Central Banks and of the European Central Bank and a number of relevant EC Treaty articles. In this and the following two chapters we will select and study those articles of the Protocol and of the Treaty, which constitute the framework for the ESCB’s relations with the other branches of government. First we will take back a few steps and ask ourselves a few seemingly elementary questions, such as ‘what is the basic Community structure’ and ‘what makes the ESCB different from the existing Community institutions’? Their treatment will constitute a useful general background for chapter 4, where we reconstitute the genesis of the wording of the most important articles governing the external relations of the ESCB. Because of the relative importance of the concepts of independence and accountability for the System’s external checks and balances we pay some attention to them as well by referring to the existing literature on these topics. We do not develop new frameworks, as we focus on the concept of checks and balances, of which they constitute a part, though a familiar part. Part of our contribution will be that we do not look at them as antitheses, but as somehow complementary in terms of checks and balances. In chapter 4 and following reference will be made to US Federal Reserve System, i.e. where this might help us understand, and assess, better the solutions found for the ESCB. In this cluster we focus our attention on the issue of checks and balances within the System. At an early stage major players expressed their preference for a federally construed central bank system; cf. Werner Report of 1971; Balladur’s Memorandum of December 1987; Stoltenberg’s reaction to Genscher’s memorandum of February 1988; Pöhl’s contribution to the Delors Report and the Delors Report itself. It is not surprising that the federal character of the new European central bank was relatively undisputed. Apparently, a centralized structure with no regional elements, i.e. consisting only of an ECB, was seen as an unacceptable risk to those Member States with a tradition of independent central banks and price stability. There would be no guarantee that such institution would not be taken over by politically appointed board members, whereas in a federal European central bank system power would at least partially rest with the governors of the NCBs. The issue of a federative structure raises the question of the relative roles of the centre and the existing NCBs and the division of labour between them. A major element in this respect has been the conviction, especially expressed from the German side, that monetary should be completely centralized, though the decision-making centre should be composed of persons both from the centre and the regions, thus upholding the federal character. This relates in particular to the issue of the relative roles of the Executive Board and the governors in the decision-making process, which is dealt with in cluster III. Monetary policy making being centralized still leaves undecided the division of labour between the centre and the regions in the area of monetary policy operations, the focus of this chapter. This cluster has dealt with the articles determining the System’s operational functions and the division of labour between the ECB and the NCBs. There might be some tension between the ECB and the NCBs as regards this division of labour. It would increase the ECB’s position considerably, if it were conducting large part of the System’s operations with the banks and in the markets. A complete centralization (in all areas, e.g., open market operations, domestic facilities, foreign exchange operations, payment services, banknote issuance) would be unlikely, as this would be tantamount to merging all balance sheets, thus ending the federal character of the System. Complete decentralization, on the other hand, would not seem to be incompatible with a federal central bank system. Complete decentralization allows for concentration of activities with one of the central banks. Mixed systems are possible too. The centre could act as one of the central banks, offering all central bank services or conducting only a few types of transactions. To understand the way the Statute has been drafted we need to know what the drafters were aiming for when designing the Statute. Some of the contours of the system though date from before the Delors Committee, because Germany had indicated (and France had supported this) that the system should be federal, i.e. with a clear role for the existing NCBs. Taking the Bundesbank as an example, NCBs could be expected to participate in the highest decision-making body and to have local operational functions. The Delors Committee did not go into details as regards the internal division of labour – this was not the core of their report. Nonetheless, already at this stage the Delors Committee agreed on pooling of reserves at the centre – some had in mind the final stage, others (among whom Delors and the French central bank) already the intermediate stage. The Committee of Governors concentrated on the final stage: they agreed to pool a substantial part of the reserves and to make the management of the remaining reserves subject to central guidelines. Pooling would create a pool of directly available foreign reserve assets, lending credibility to the System’s exchange rate policy, and indirectly contributing to creating a ‘strong’ centre. A strong centre was considered desirable, because the System would probably have to operate – at least in its formative years – in a difficult environment, in a political sense. While the governors clearly had in mind that monetary policy would be implemented using the NCBs and that the System itself should decide on the division of labour within the System, they could not agree on the degree of decentralization (i.e. strong or very strong) and neither on which body should ultimately have the final say as regards the actual division of labour (the Executive Board or the Governing Council). Most of the governors wanted the Governing Council to decide, a small minority (mainly the Bundesbank) favored the Executive Board. Behind this was the fear that NCBs could undermine the singleness of monetary policy. The governors did agree though that in order to ensure the singleness of policy the Governing Council should be able to adopt guidelines, upon which the Executive Board could base instructions to NCBs, which NCBs were required to obey (see Art. 12.1, first and second paragraph and Art. 14.3). Aarsman, Olga (2001), ‘The development of the FRS (1913-2000) and lessons for the ESCB’, thesis Vrije Universiteit, Amsterdam, April/May 2001 (only available in Dutch). 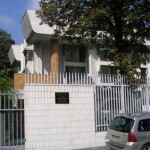 Agence Europe, several daily press reports and Europe Documents, 1988-1992. Akhtar, M.A. and Howard Howe (1991), ‘The Political and International Independence of U.S. Monetary Policy’, Banca Nazionale del Lavoro Quarterly Review, no. 178, September. Alesina, Alberto (1988), ‘Macroeconomics and Politics’ in S. Fischer(ed. ), NBER Macroeconomics Annual. Alesina, Angeloni and Etro (2001), ‘Institutional Rules for Federations’, NBER Working Paper 8646. Amtenbrink, Fabian (1999), The Democratic Accountability of Central Banks – A comparative study of the European Central Bank. Artis, M. (2002), ‘EMU: the First Four Years’, paper presented by at the conference ‘Enlargement and the Future of Europe 2002’, Institute for International Policy Studies, Tokyo, November 2002. Aufricht, Hans (1967), ‘Central Bank Legislation’, Vol. II: Europe, IMF Monograph Series no. 4. Bade and Parkin (1978), Central Bank Laws and Monetary Policy: A Preliminary Investigation’, in: M. Porter (1978), The Australian Monetary System in the 1970s: the proceedings of a conference (Victoria, Austalia, 1977). Bade and Parkin (1988), Central Bank Laws and Monetary Policy: A Preliminary Investigation, Dept. of Economics, University of Western Ontario. Bakker, Age F.P. 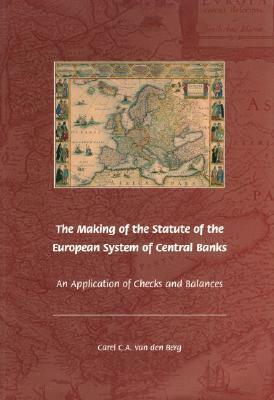 (1996), The Liberalization of Capital Movements in Europe – the Monetary Committee and Financial Integration 1958-1994. Bakker, Age F.P. (1996), ‘Verslag van een bezoek aan het Federal Reserve System’, (Report of a Visit to the Federal Reserve System), De Nederlandsche Bank, December 1996. Barents, R. and L.J. Brinkhorst (1994), Grondlijnen van het Europees Recht. Barro and Gordon (1983), ‘A Positive Theory of Monetary Policy in a Natural-Rate Model’, Journal of Political Economy 91 (August 1983), pp. 589-610. BBC2 – Arte TV (1998), ‘The European Monetary Union’, (Brook Lappings Production). Beaufort Wijnholds, Onno de (1992), Inaugural Lecture on the Occasion of the Assumption of the Office of Professor of Monetary and Banking at the University of Groningen. Begg and Green (1998), ‘The Political Economy of the European Central Bank’, in Arestis and Sawyer (eds.) The Political Economy of Central Banking. Berg, van den Carel C.A. and Cindy van Oorschot (2000), ‘Wie is de lender of last resort in EMU?’ Maandschrift Economie, Vol. 64, February 2000, pp. 77-85. Berg, van den Carel C.A., ‘Relationship between the ECB and the Ecofin Council and its Implications for the Exchange Rate Policy for the Euro’, Economic and Financial Computing (European Economics and Financial Centre), Vol. 8, no. 2, Summer 1998.